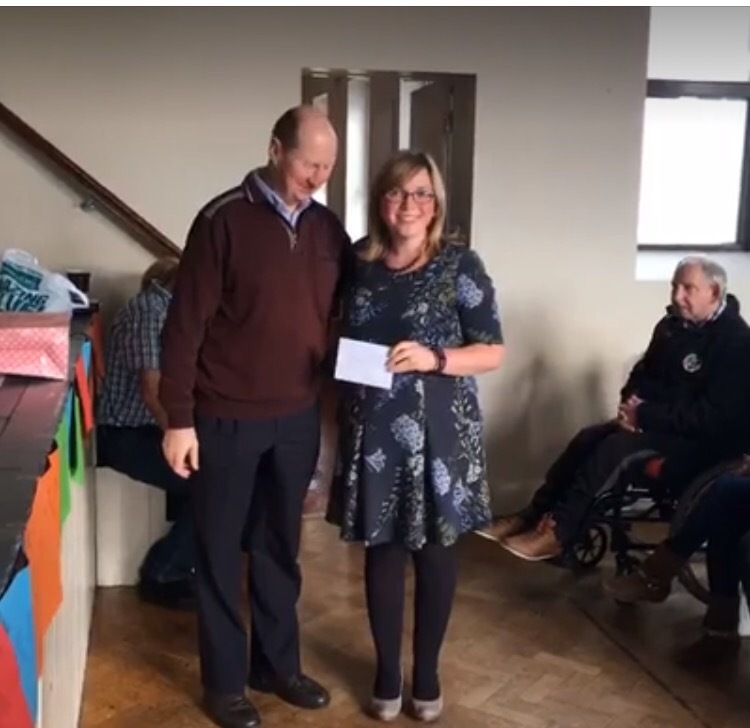 Ms Carpenter was delighted to attend a presentation in the Parish Centre on Monday 31st October, organised by Brendan Dowling and the Tullow Marathon Runners. 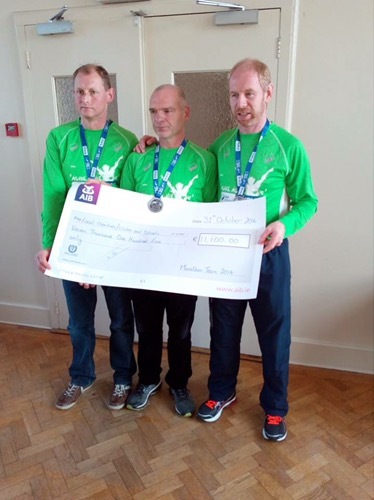 The group very generously donated €300 to the school as part of their community fundraising and sponsorship for the marathon. 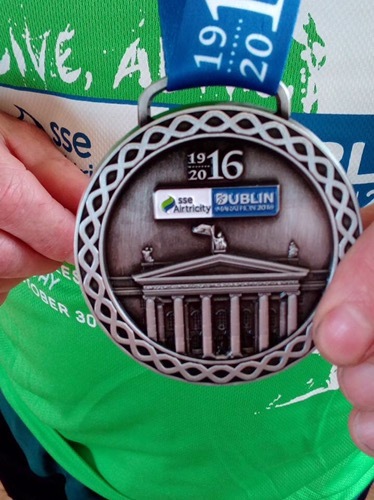 They raised over €11,000 for the Tullow community. Thank you very much from all at St. Columba’s N.S. 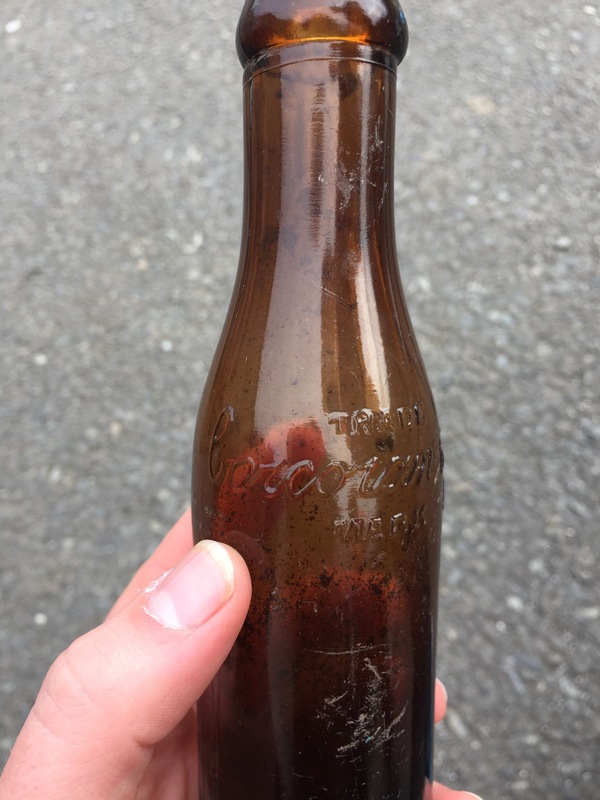 Our lunchtime archaeologists excavated an old lemonade bottle from Corcoran’s Mineral Water Factory in Carlow. 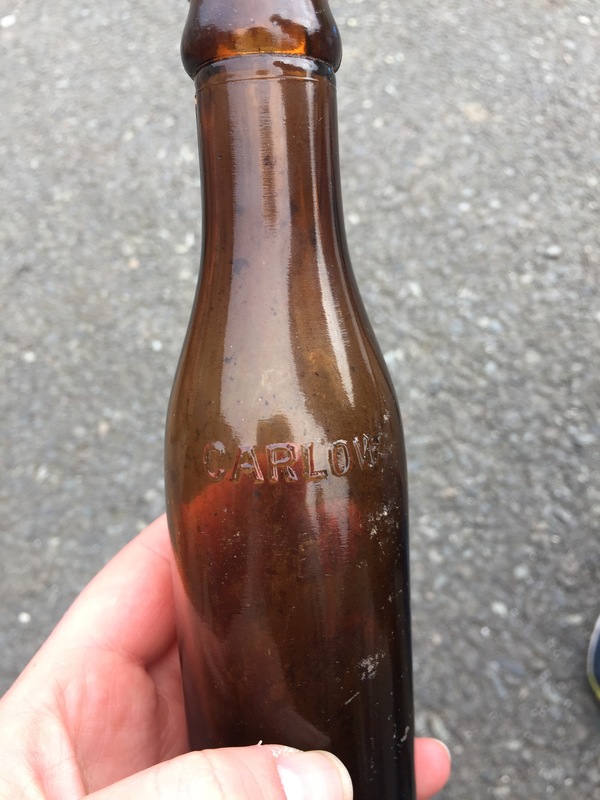 We know that it’s from Corcoran’s in Carlow because the bottle has Corcoran’s and Carlow written on it. 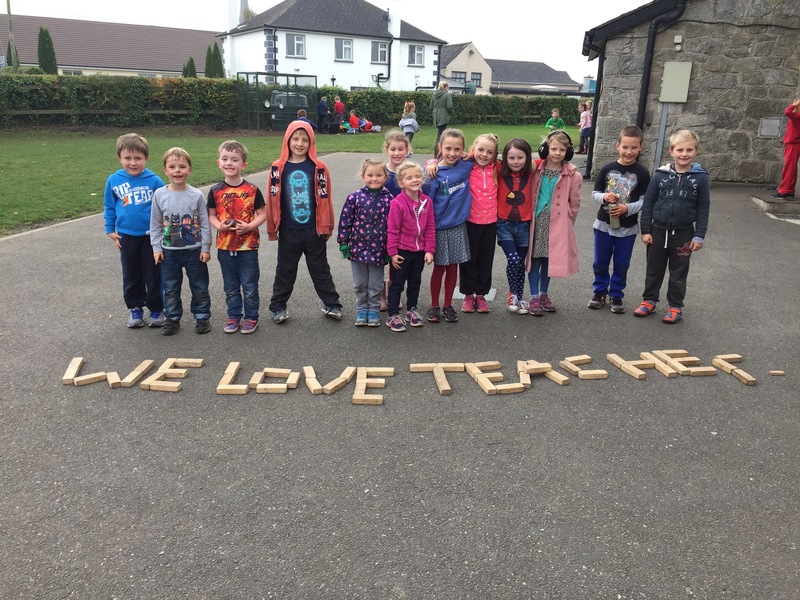 Some of our children have been very busy creating buildings with the building blocks while others have been writing charming messages on the tarmac! The teachers were delighted to be shown this message! 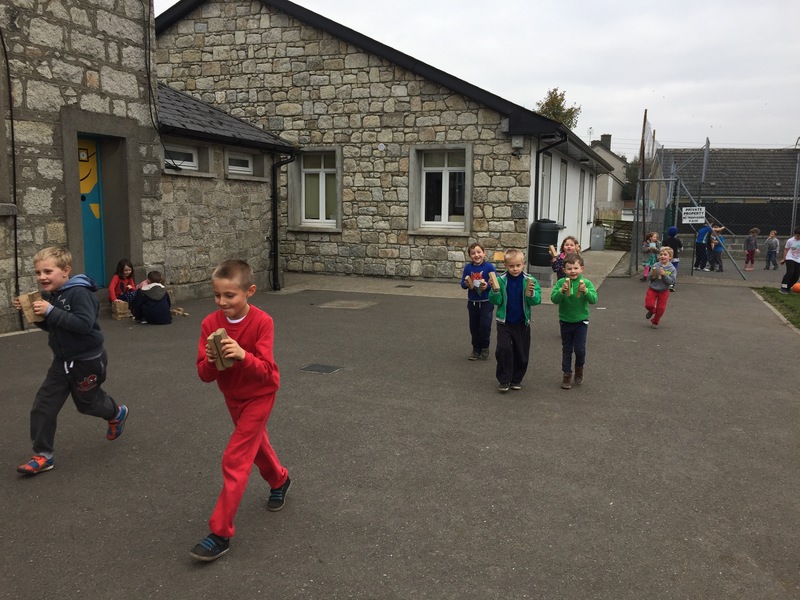 The Pied Pipers of St. Columba’s. 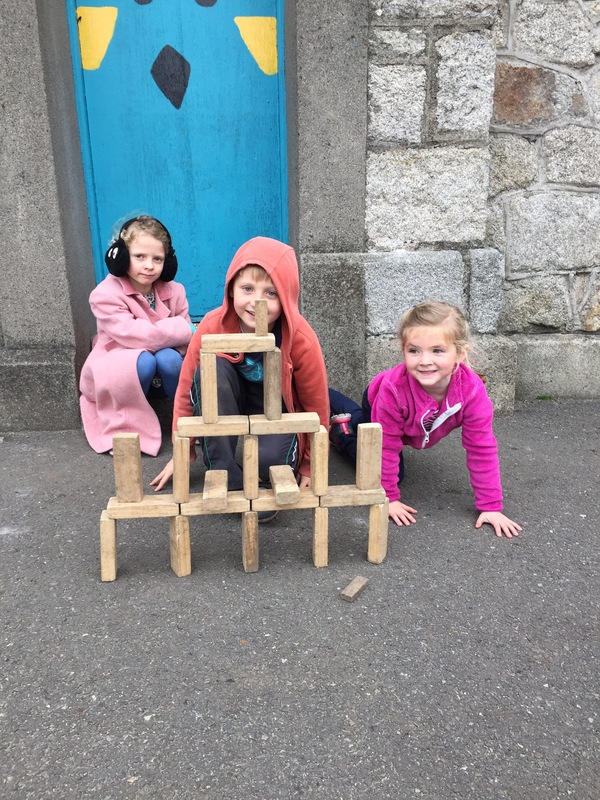 We had a very musical lunchtime as some of our children created sounds using Jenga blocks. They’re very creative! Our developing Music Wall was also used to add to the musical compositions. 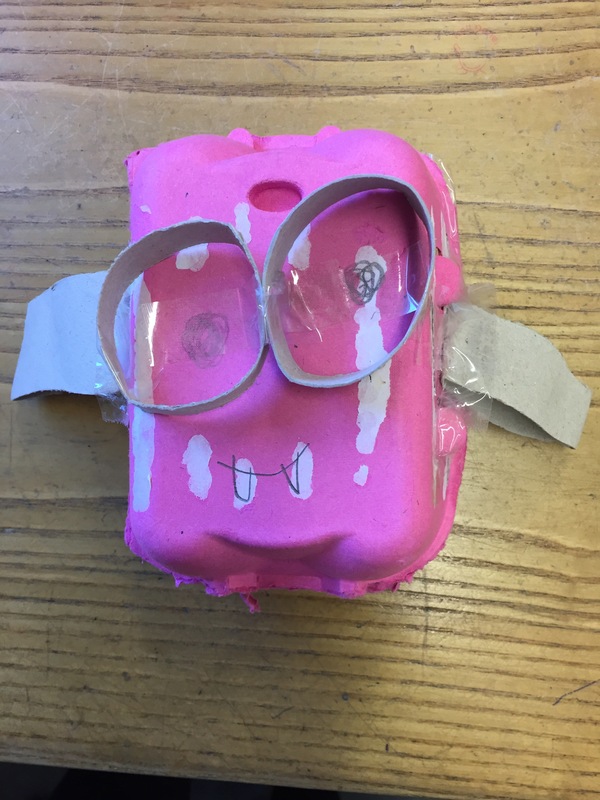 One of our Senior Infants created a Junk Art vampire today during Aistear. 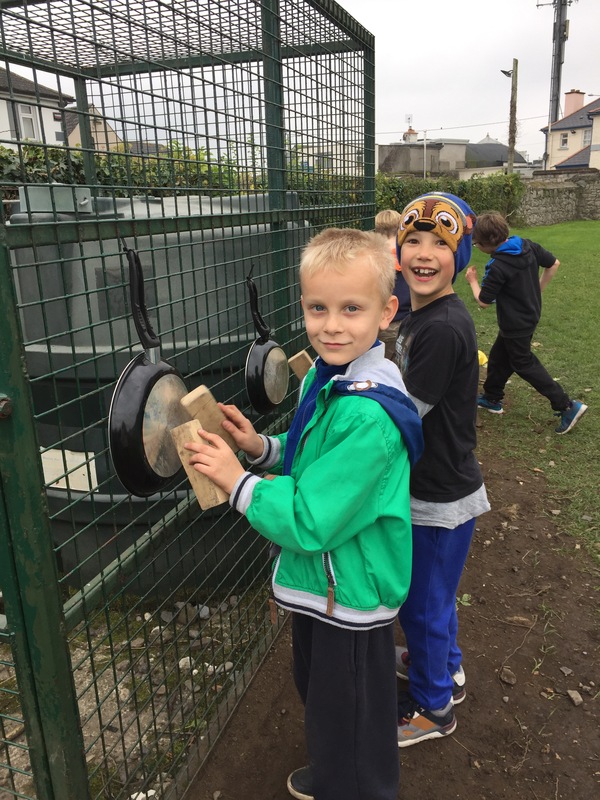 What a fabulous use of recycled materials! 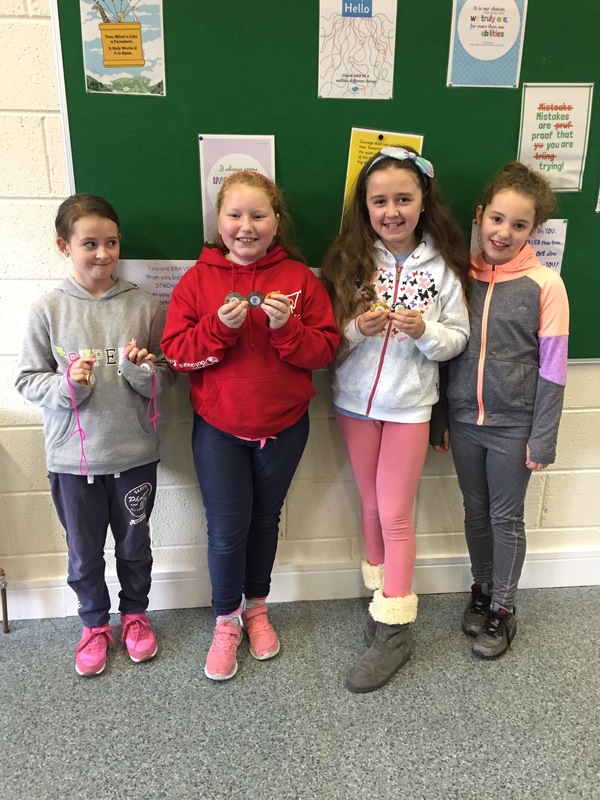 Four of our girls participated in the South East of Ireland Feis at the weekend. 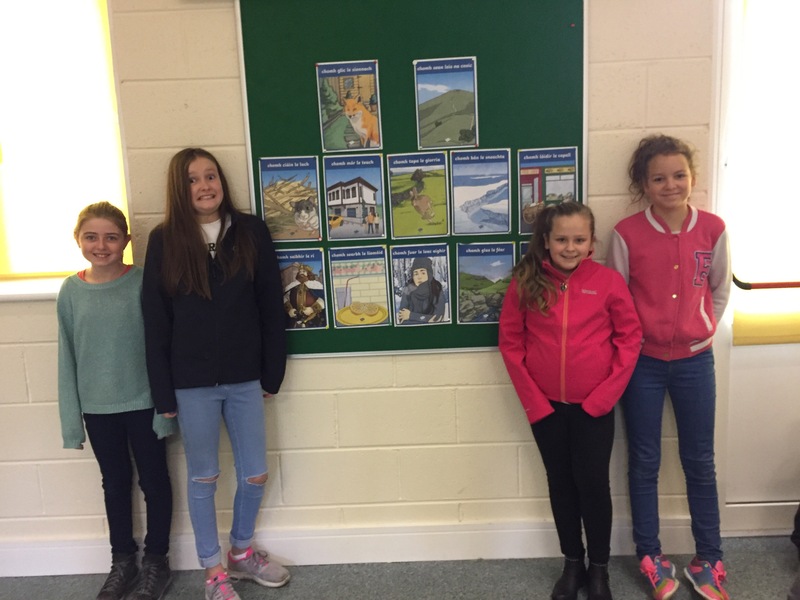 They enjoyed their experience and brought home lots of medals including Highly Commended in the Cup Competition, 3rd place in the Reel and Highly Commended in the Slip Jig! Comhghairdeas cailíní! Thanks to the girls who took time to display lovely similes as Gaeilge. 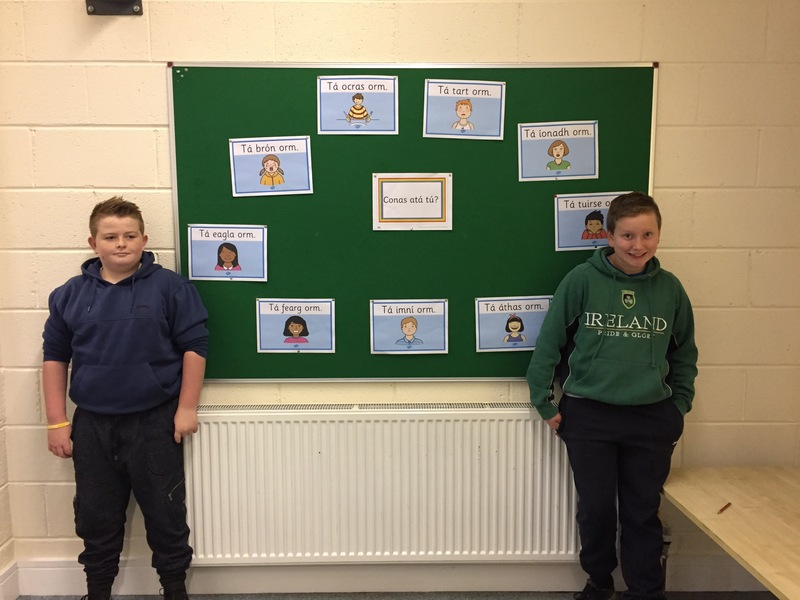 Thank you to two of our Sixth Class boys who helped to create a lovely Gaeilge display in the halla. 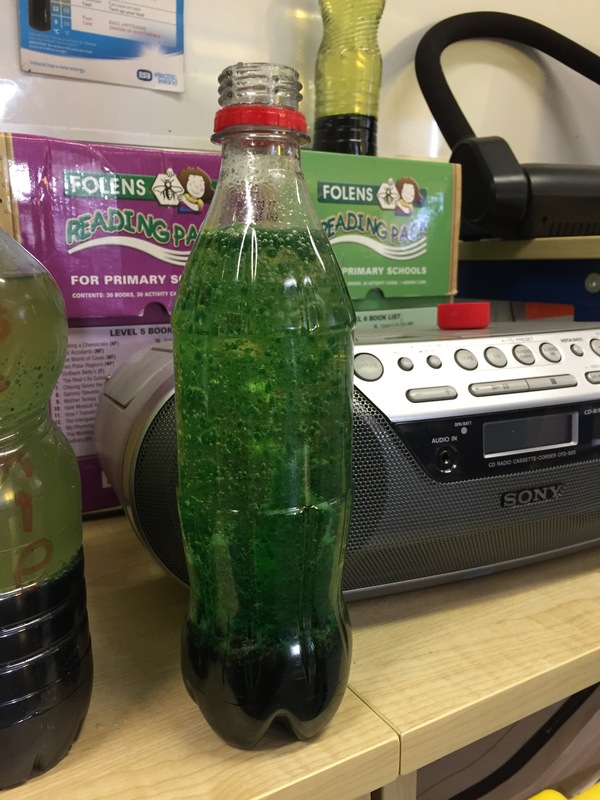 Ms. O’Neill’s class made lava lamps in Science today using oil, food colouring and effervescent tablets. The children enjoyed learning how oil and water don’t mix as their density differs. Oil sits on top of water as it has a lower density. The effervescent tablet releases small bubbles of Carbon Dioxide gas which rise to the top and take the coloured water along with them. They look really cool! We visited St. Columba’s Church this week and Ven. Orr organised a service for us about St. Francis of Assisi. 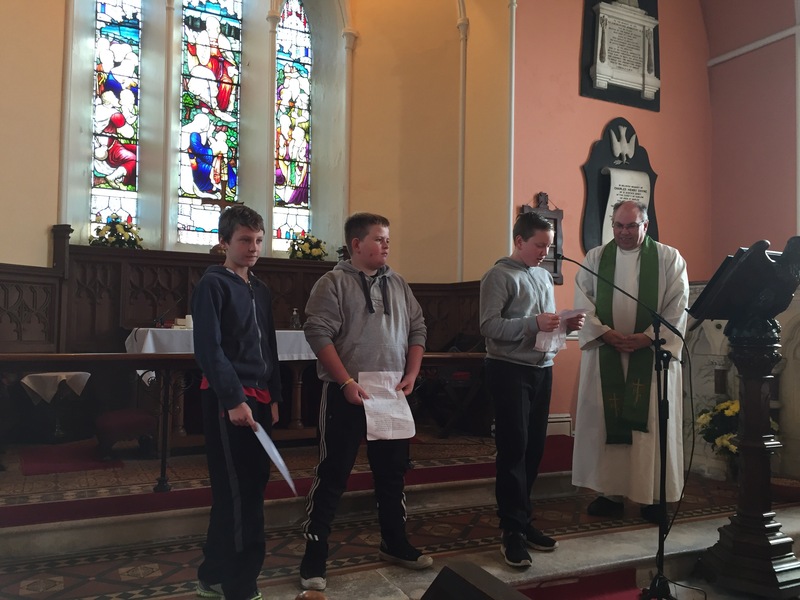 We read prayers and readings during the service.